As it happens, though, Mark, Annie and Pudding aren’t the only ones in the forest tonight. Their friends Freddie and Eddie are off looking for Clementine, too; and so is Teddy (no relation) who, along with his dog Pickles (“he has a nose like at Skotlandyard”), has decided to mount “Operation Clementine” to find her – ideally before she’s found by his father the police sergeant, who is also out looking for her. And then there’s an exasperated journalist, Ignatius Prosser, with a sneezy car; a toadstool artist called Phosphorus Twisk (really, the characters in this book have such tasty names) and many others besides – a whole forestful of them. But where, oh where, is Clementine? And how on earth did little Macadamia come to lose her? Is anybody going to fix the telephone line? Whose is that huge red scarf? And will Ignatius Prosser ever get his scrambled eggs? 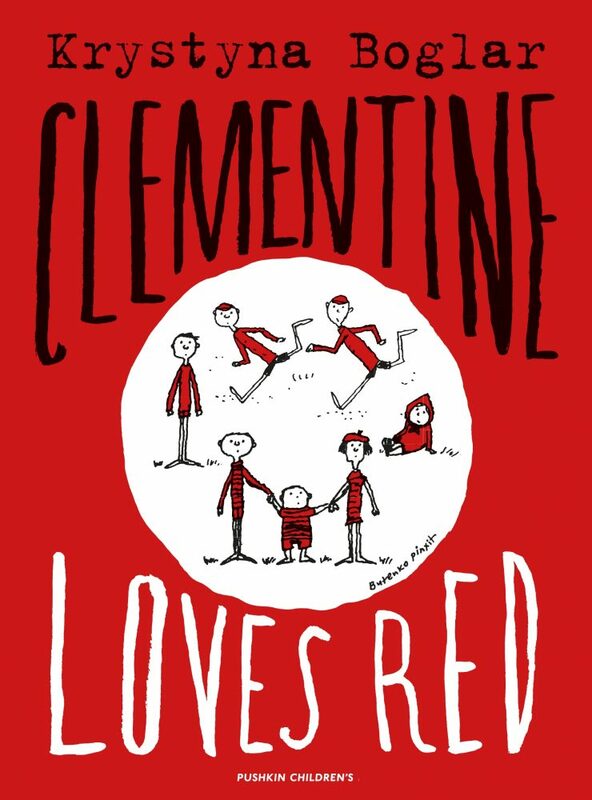 Filled with delightful characters (children, adults and others), a nice bit of mayhem to the plot and a good twist, Clementine Loves Red is a quirky bit of classic, old-fashioned children’s writing. The youngish story told with at times pretty sophisticated language but plenty of dialogue (and SOUND EFFECTS) makes this a good read-aloud, with more than enough charm to keep the grown-ups entertained, too.